Thank you Marquinhos, you've finally switched on the light! Sometimes a short article can make the difference, and we were waiting for this one since a while. Or we'd better say: since a futsal life. There's a lot of talking about the beneficial influence of futsal in soccer players formation, but the big question is... SO WHAT? Do we exist just to serve soccer? Is matching with soccer players background our only way to show what our sport can provide people with? We have a lot of friends supporting the idea of futsal promotion through soccer person/events, but we've never agreed with this way to proceed. Sometimes people seems even to be afraid to shout they're futsal fans, so that they hide theirselves behind the shadow of "the big brother" (but do we really want a brother like that?? ), like they were in need to justify their sins! On the opposite, WE ARE FUTSAL FANS and PROUD TO BE! 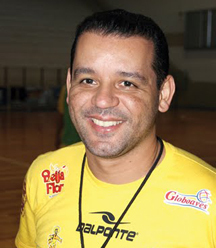 Well guys, this opinion article of the Copagril Futsal coach Marquinhos Xavier has finally expressed a big truth about our little world: "Somos diferentes e somos específicos, nosso esporte é o Futsal". Muito obrigado Marquinhos, we were waiting for you. Futsal is the way, the rest is mere detail. 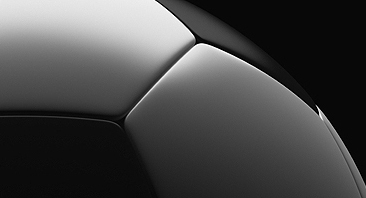 Game high technical requirement, dynamic characteristics and the lack of literature and a clear definition of the comparisons still provide Futsal Soccer, delaying our own evolution as a modality with specific features and elements. Futsal is a sport similar to Football in my view, we have technical and tactical independence and visibly physical. Perhaps the fact that it is practiced in a field of play where the goals and rules are "similar", where it develops a clash between two teams and whose goal is win the imposition of a defense in order to achieve a successful bid of attack and that this represents the greatest moment of the game, Gol. I can assure that Futsal is different and possibly our similarities end here. These similarities confuse and prevent the Futsal has its own identity and therefore have our well-defined concepts and features. Purpose of this issue and promote interest in our particularities, oportunizar critical sense and conceptualizing the Futsal. I quickly to list our particularities and briefly justify the need to conceptualize the Futsal as a modality itself. We lived in a "field" uncertain game, with very unpredictable and problematic, before anyone can tell me that these features are also present in football, I anticipate that the big difference is exactly the time of action / reaction to the resolution of these situations, Futsal has a high degree of difficulty and the athlete in turn requires a speed psycho / motor integrated act in fractions of seconds. This is our main feature, being fast in Action in Cognitive and Motor Actions, our responses are immediate and this makes us different. Another factor to justify my subject, are the multifunctional characteristics of Futsal athletes have an obligation to attack and defend with the same level of demand, get used to playing in defense and attack positions and fulfill the task prevalent in these positions, you can not only be free to attack or defend restrictions only on Futsal systems are interconnected and therefore functions performed must also be interconnected. The Futsal athlete participates in the game during periods / cycles of the game, went out and returns the same to continue competing, these possibilities raise the pace and physical demands of the game, making it continuous and very intense. We are different and are specific, our sport is futsal.